If there is a shortage of water, it need not be a problem when creating a garden. 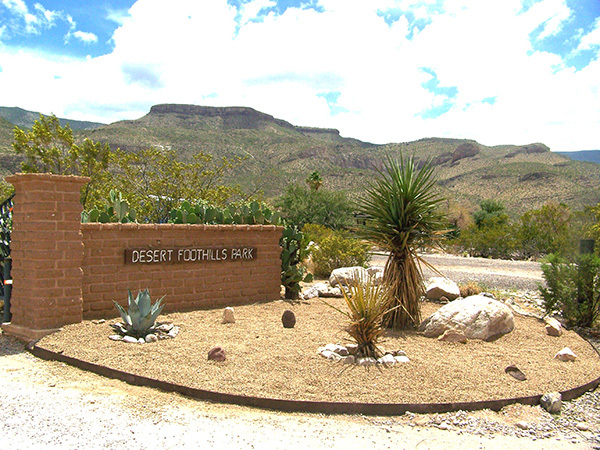 Artistic landscaping can be done even in the desert. 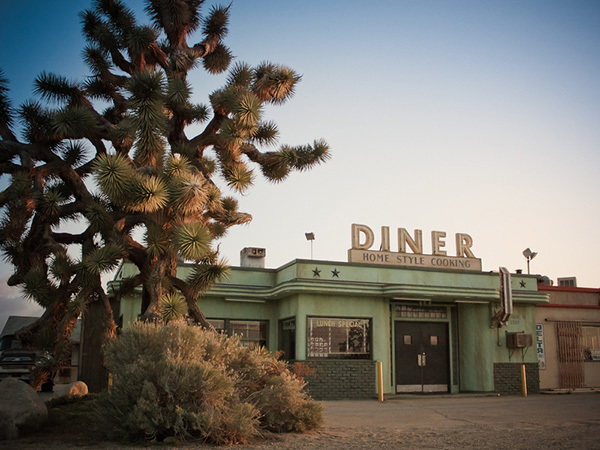 A little imagination, creativity and some desert plants is all you need to get the right effect. 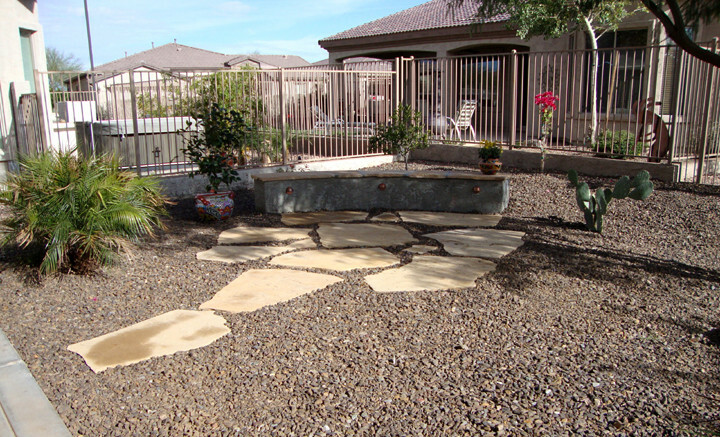 Here are some desert landscaping ideas that have used very simple stuff with artistic results. 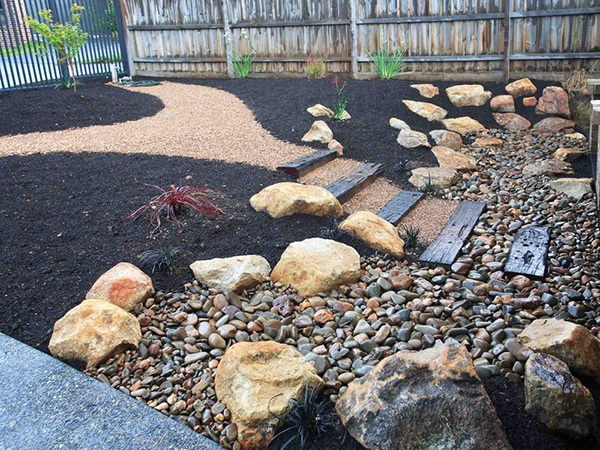 Rocks, stones and pebbles are the major theme of desert gardens. Desert bushes look great with the stones. 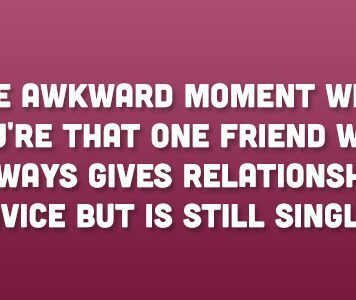 There are a variety of cacti from short and round to tall and spindly, all in different shades of green that look good in a garden. 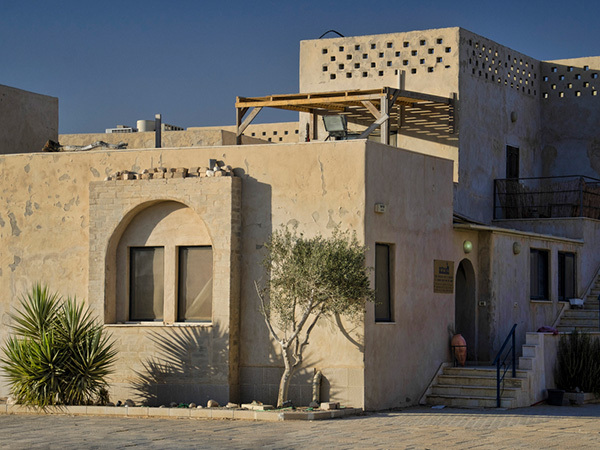 Having a garden in a desert abode may seem impossible but it is not so. There are many different types of plants that grow better in desert conditions. 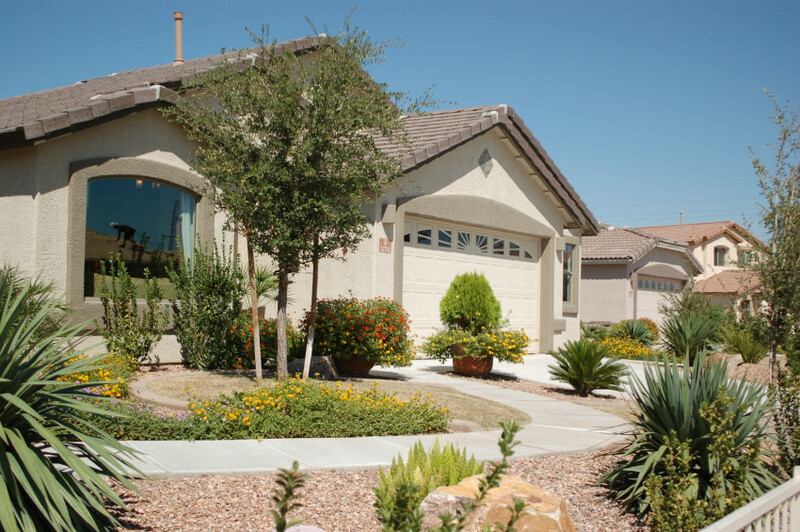 Also, cacti in varying sizes, shapes and shades of green can make a landscaped garden look very classy. These are some ideas of desert landscaping that you will definitely find very creative. 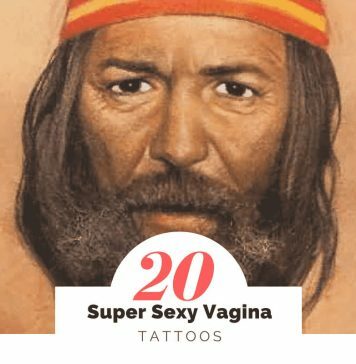 The layout and combinations are worth copying. 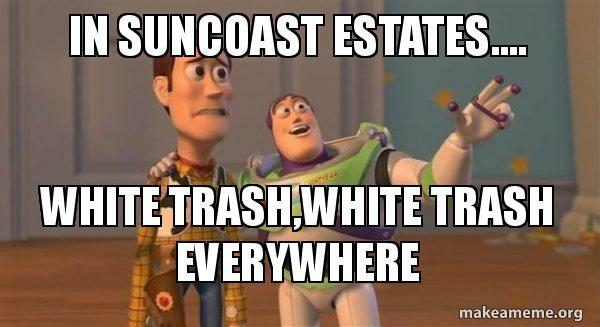 There are ideas ranging from very simple with a few plants and rocks; to exotic gardens with cacti of different sizes and different colored rocks. 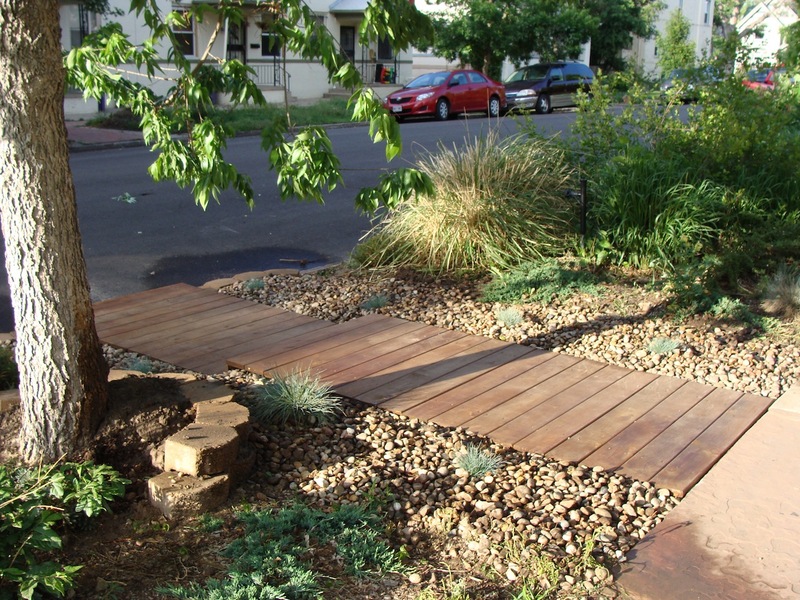 These landscapes require little care as the plants are very sturdy. 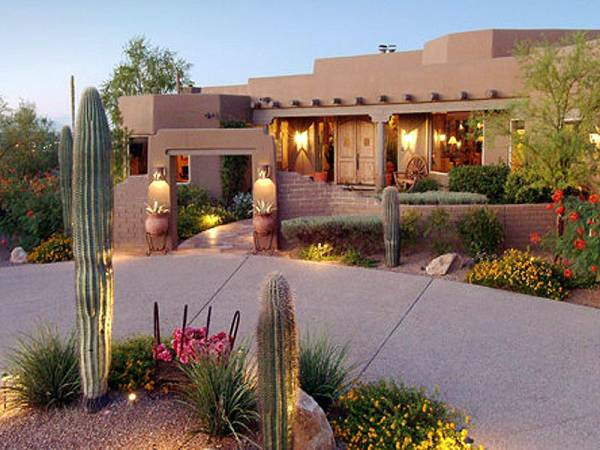 Prickly cacti and ornamental garden lamps create a very rich looking desert landscaping. 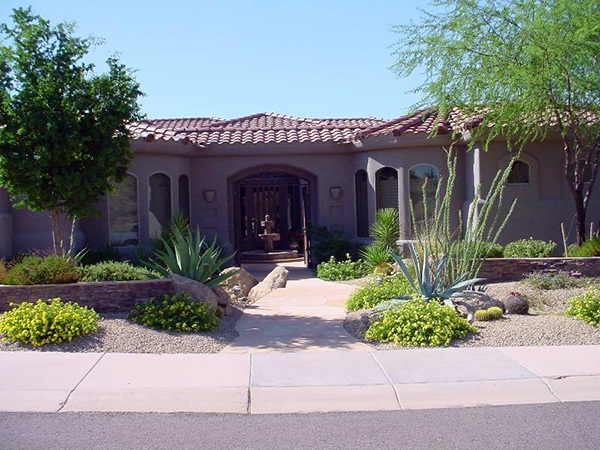 Just a few desert plants are enough to create a lovely fresh green look along the wall of this house. 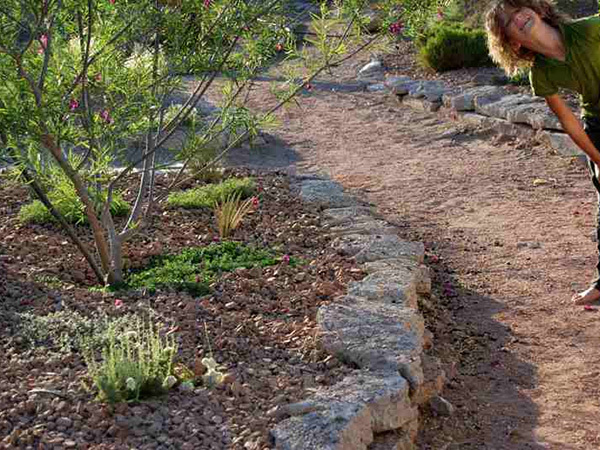 Stone pathway leads to a superb group of plants in this artistic desert landscaping. 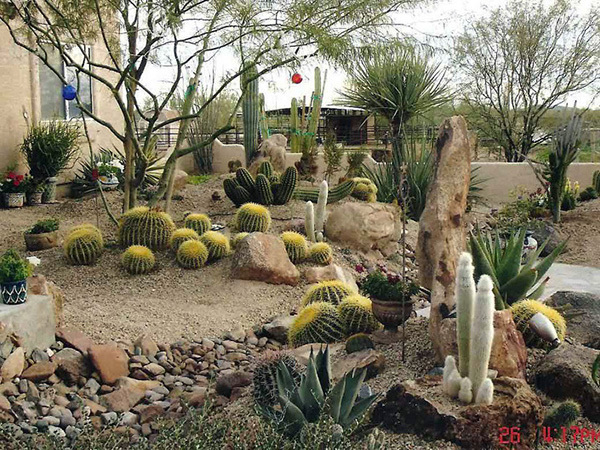 Ball shaped, tubular and all other forms of cacti characterize this as desert landscaping worth copying. 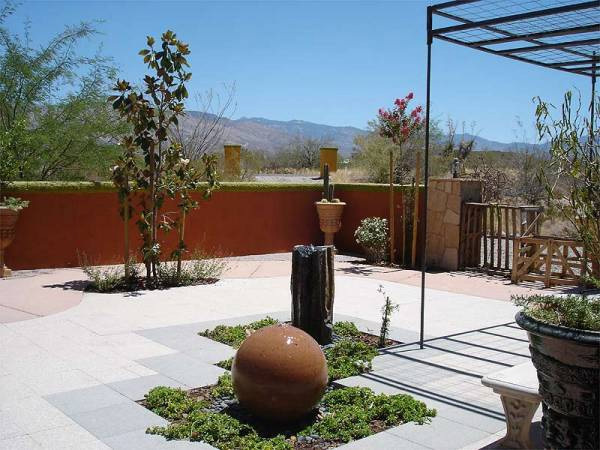 Stone ornaments are the main theme in this desert landscaping besides the few plants. 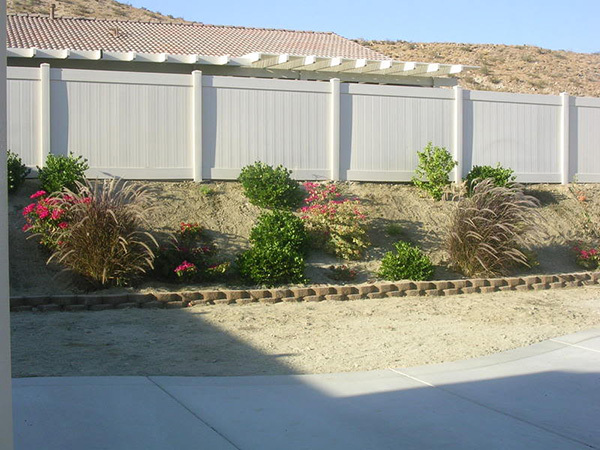 This desert landscaping looks great with the lovely pebbles and a few desert bushes. 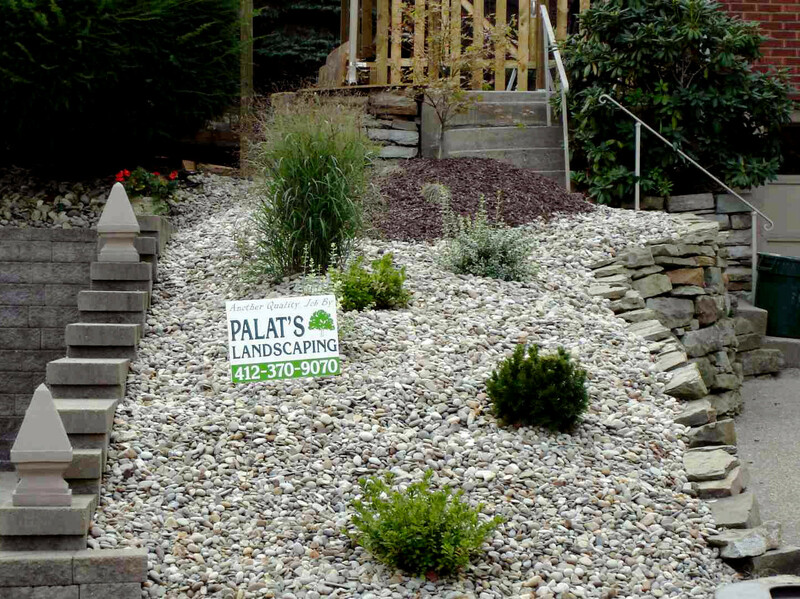 Pebbles and sparse bushes form a simple yet attractive desert landscaping. 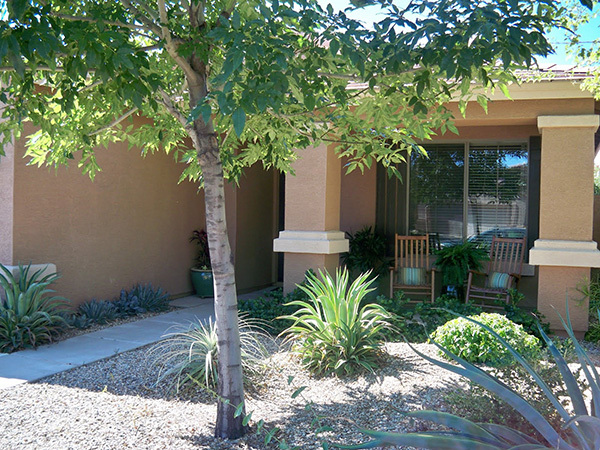 A solitary tree provides shade in this lovely desert landscaping with pebbles and cacti. Large rocks, medium size stones and tiny pebbles in different colors give this desert landscaping a uniquely attractive look. 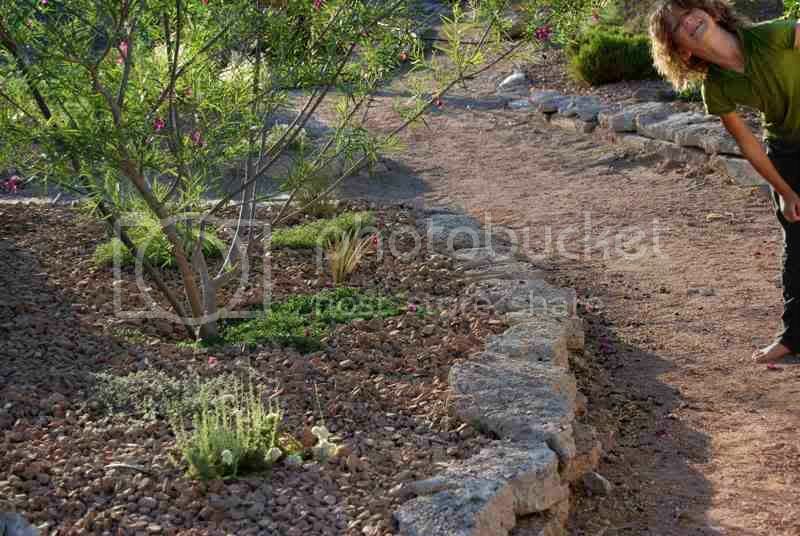 A pathway of grey pebbles dotted with desert bushes looks very lovely as desert landscaping. 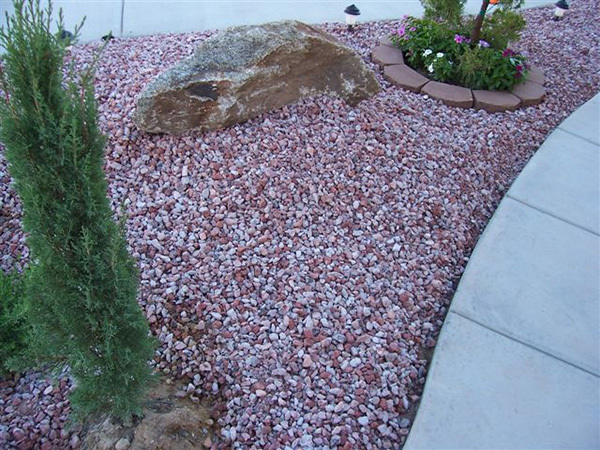 Pink and grey pebbles form the major part of this lovely desert landscaping along with a single rock and a few plants. 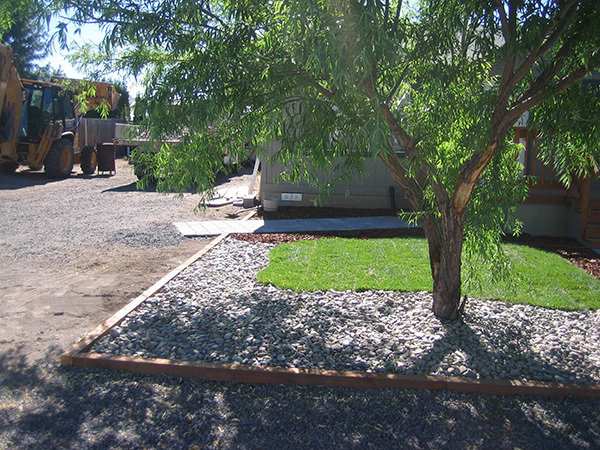 The neatly arranged stones and lawn have a tree standing alone to provide much need shade in this desert landscaping. 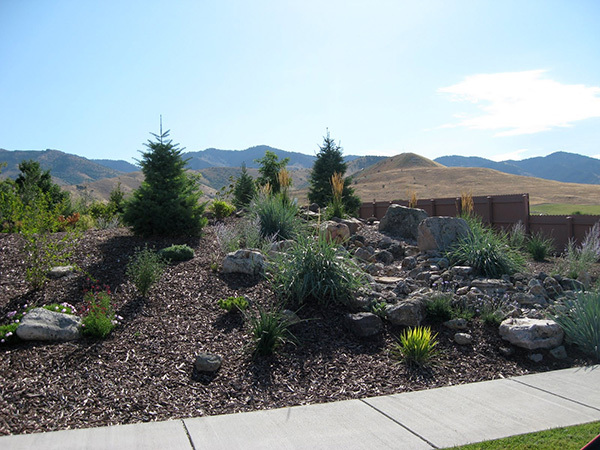 Rocks of different sizes strewn in a deliberately casual style make this desert landscaping looks superb. 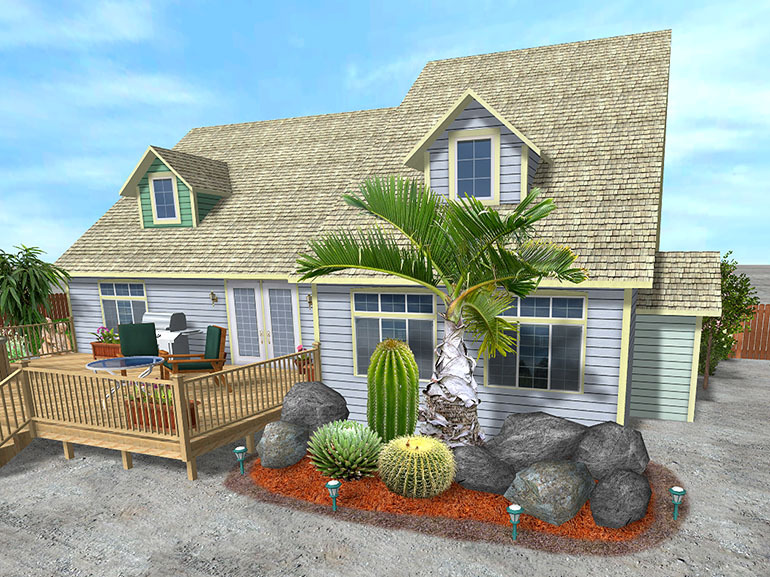 Cacti, desert bushes and stones combine together to create very artistic desert landscaping. 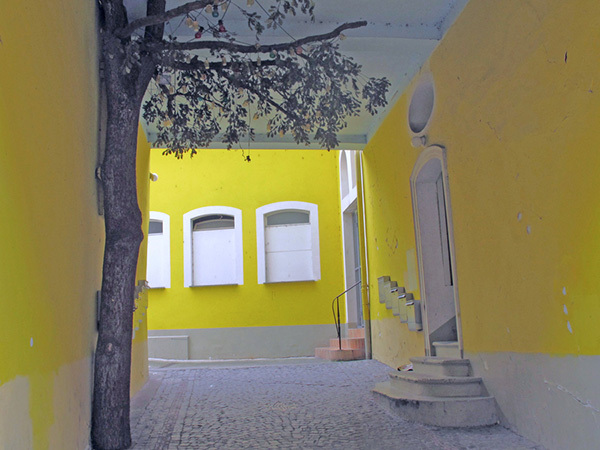 A cobbled street in grey is just perfectly suited for the bright yellow house wall in this desert landscaping. 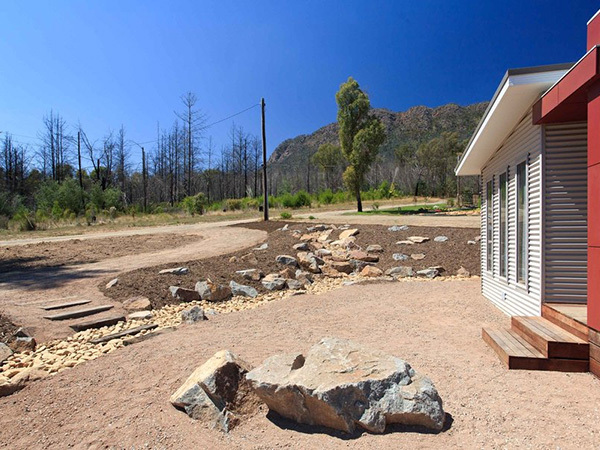 Different shades of green desert plants have given this stone and wood desert landscaping a fresh look. 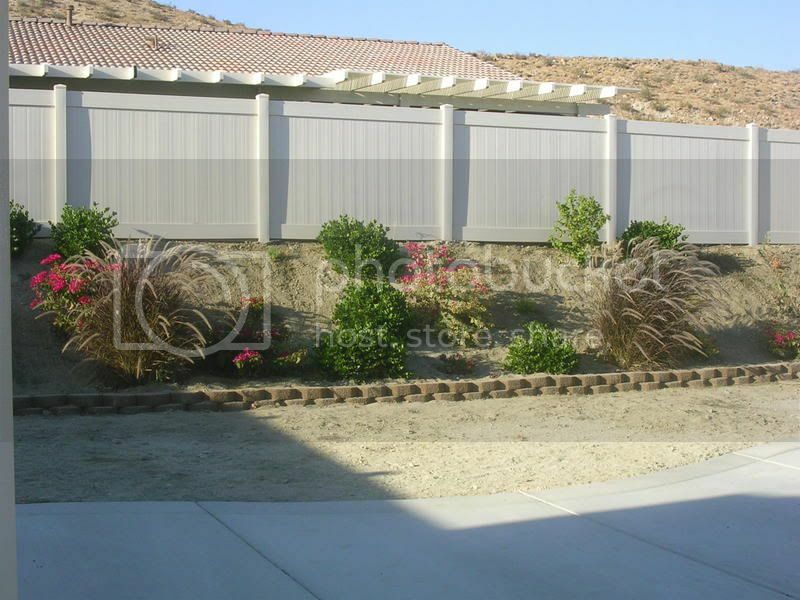 A few bushes bordered with brick are a perfect complement for the concrete pathway in this desert landscaping. 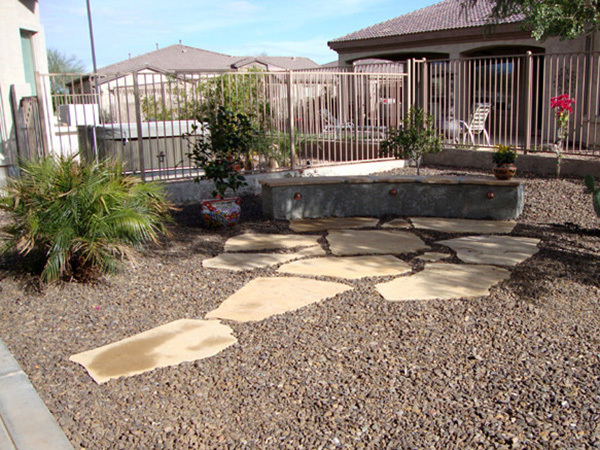 A circular stone border around this desert landscaping gives it rustic and artistic look. A prickly cactus growing tall makes a superb desert landscaping that requires very little care. 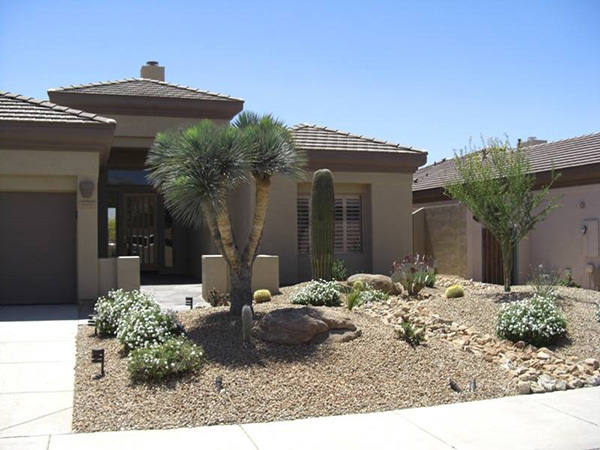 This desert landscaping looks great with the conifer-like bushes and cacti in lovely dark green. 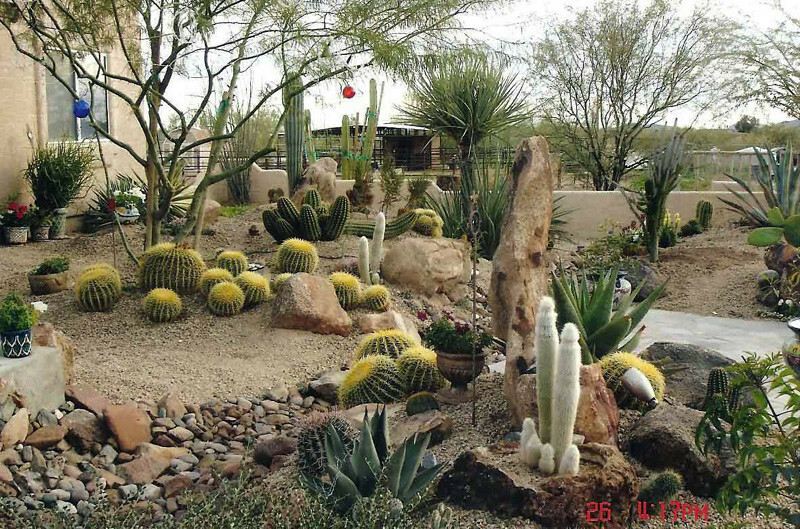 Cacti of different shapes, sizes and colors go very well with the large rocks in this desert landscaping. 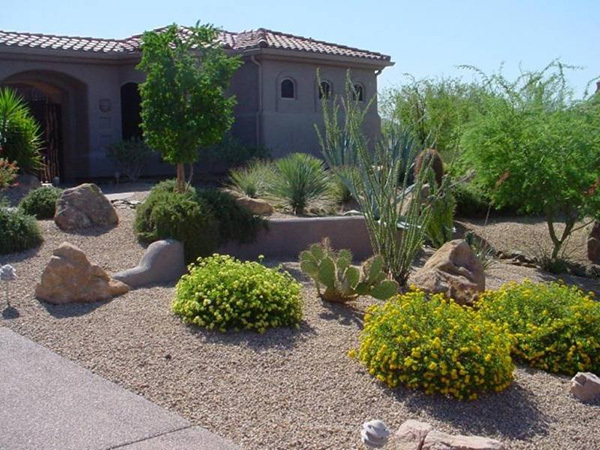 Stones and pebbles provide a lovely bed for the cacti and bushes in this lovely desert landscaping. 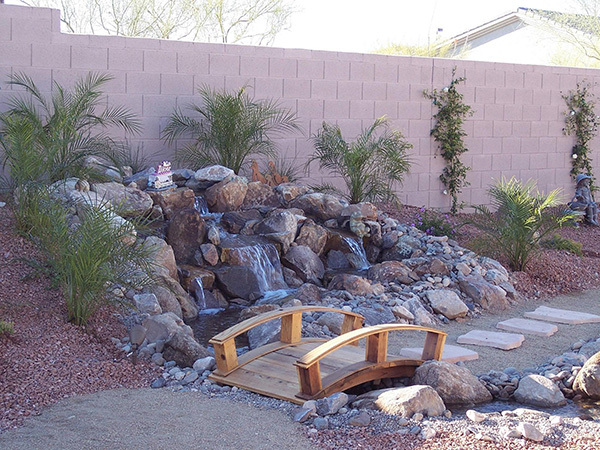 A tiny wooden bridge over a waterfall cascading over rocks makes this a fantastic desert landscaping idea. Strangely shaped rocks flank the artistically spaced bushes in the lovely desert landscaping. 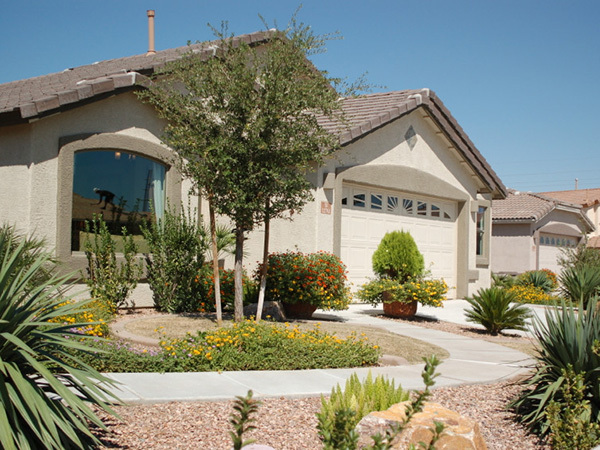 Just a few green plants are enough to give a pleasant effect in this simply designed desert landscaping. 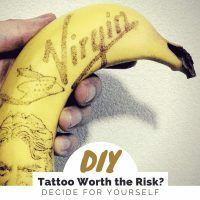 If you like this article, you might be interested in some of our other articles on Bedroom Ideas For Women, Cool Bedroom Ideas, Modern Bedroom Ideas and Mantel Decorating Ideas. 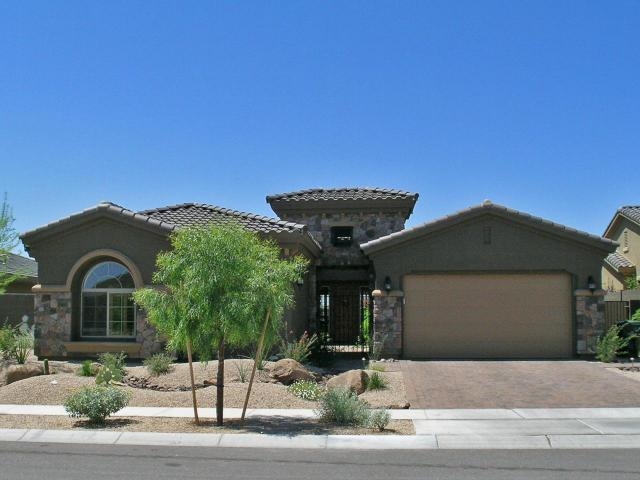 These desert landscaping ideas are very beautiful but i think its hard to maintain it.